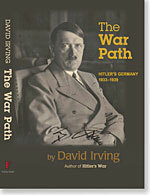 "David Irving is one of Britain’s most disliked and condemned writers. There are many who believe that Irving builds some new shock to public belief into each book he writes. The other side of Irving makes him a most formidable opponent. He is . . . the most assiduous and persistent of researchers into the mountains of documents. . . He has uncovered enormous quantities of private diaries and papers hidden from Allied investigators. And he has shown a combination of generosity and commercial acumen in their disposal . 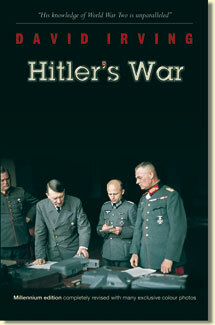 . . Irving has produced a study of Göring which makes no attempt to disguise his many failings . . . The book is a goldmine for aficionados of Nazi Germany . . . the verifiable details are fascinating." -Professor Donald Cameron Watt, in The Sunday Times (‘book of the week’) August 13, 1989. "The author is also a remarkable researcher who has the tenacity and ability to find unknown archival evidence in the most unlikely places, enabling him to shed new light on past heroes and enemies . . . An immensely readable and interesting book that contains a wealth of new research material in the notes that will be of great use to future historians." - James Rusbridger, Western Morning News, August 19, 1989. 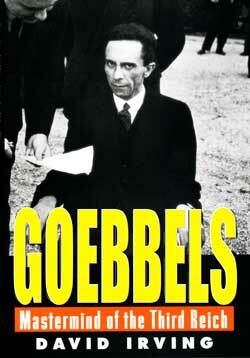 "Drawing on extensive materials, including Göring’s personal papers Irving demonstrates in convincing fashion [that] Göring’s dark talents were no match for his insatiable appetites - for drugs, ludicrous opulence and priceless paintings . 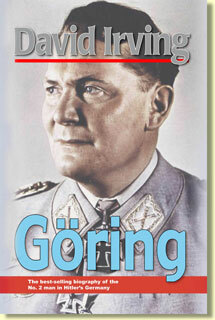 . . Göring is an informative and sobering account - an indictment really - of a man with no redeeming virtue." - Rory Quirk, in Washington Post, May 3, 1989, and New York Post.